The fun, eccentric, and unusual designs that have become synonymous with the name Lancy Kimmy are the result of years of fashion innovation, industry experience and passion for style. 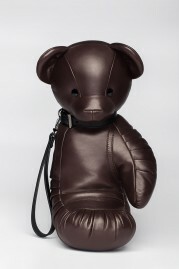 A background in interior design and a history of employment in the leather goods industry inspired designer Marina Kalenchyts to create a line of products that boast attention to detail, superior quality and treated leather that not only makes the piece beautiful when it is first bought, but makes it age with the same grace as the customer. 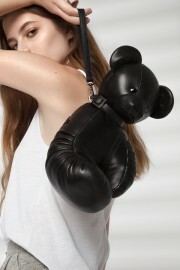 With the bold punch of the boxing glove and the playfulness of the teddy bear, Lancy Kimmy has produced an accessory that is truly unique and, having embarked on a search to find a leather specialist who could genuinely do her design justice, does not compromise on the highest quality materials to give your style the whimsical edge that only this brand can provide.